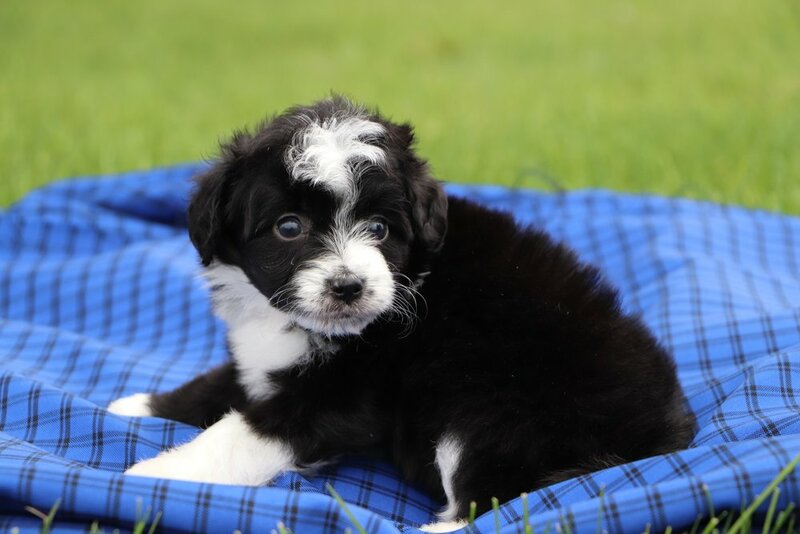 Mini Aussiedoodles (mini Aussiepoos) are a mix of a mini Poodle and a mini Australian Shepherd. Standard Aussiedoodles cross a standard Poodle with a standard sized Aussie. 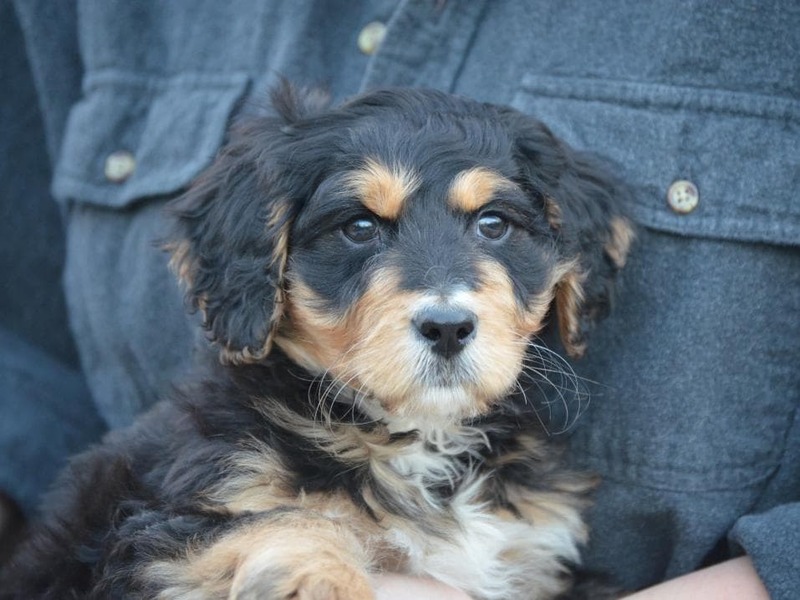 Mini Aussiedoodles and standard Aussiedoodles are incredibly smart, loyal and very loving. 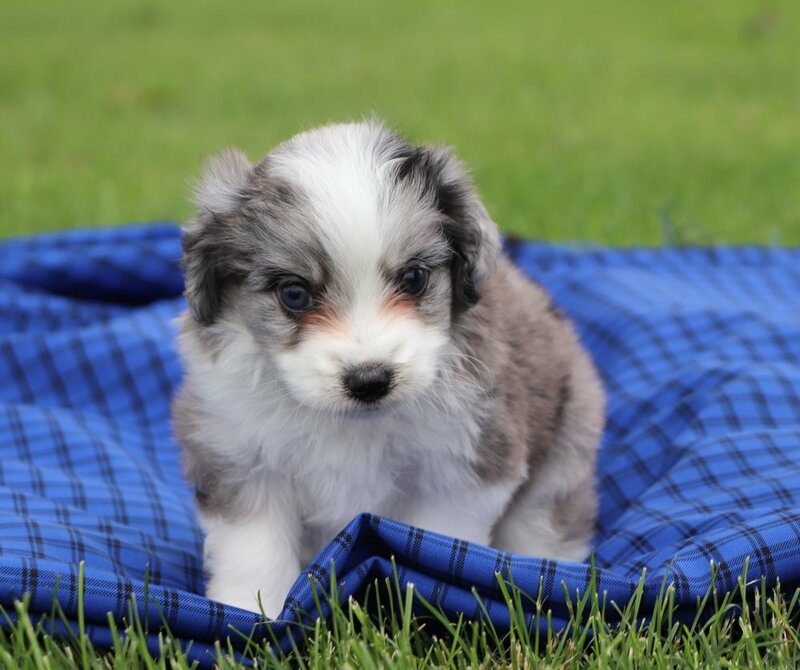 Also known as Aussiepoos, mini Aussiedoodles and standard Aussiedoodles are sometimes called Einstein dogs for their smarts and velcro dogs for their loyalty. 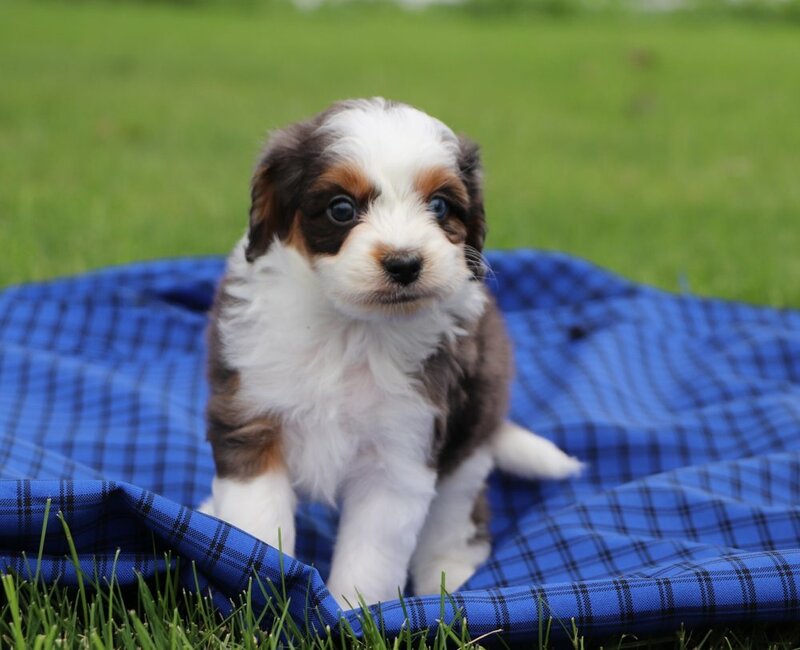 Mini Aussiedoodle coats tend to have a beautiful color variety with outstanding texture, curl, and thickness. SEE WHAT IS AVAILABLE NOW !! This litter was recently announced to families on our deposit list but there are still a few openings! 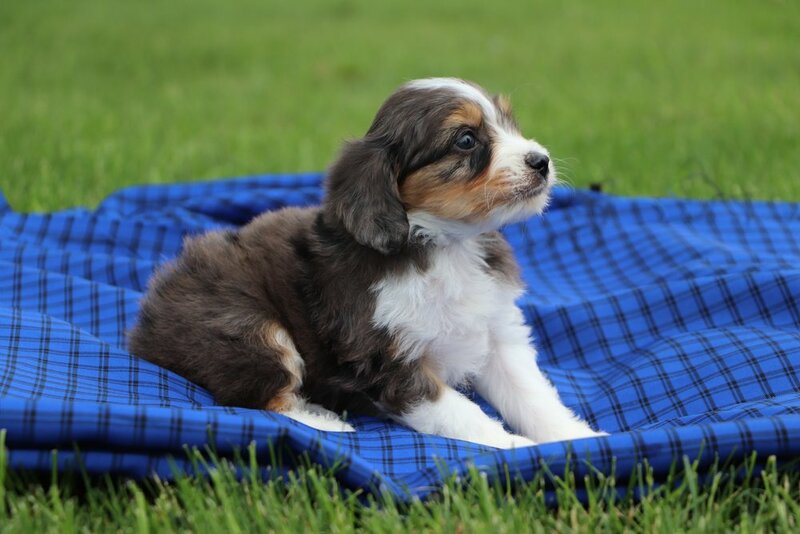 Please email us at Nathan@crockettdoodles.com if you are interested in learning more about these available puppies! *We reserve the right to adjust pricing for specific markings. 6% Sales Tax Applies to All puppies Picked up in the state of South Carolina. 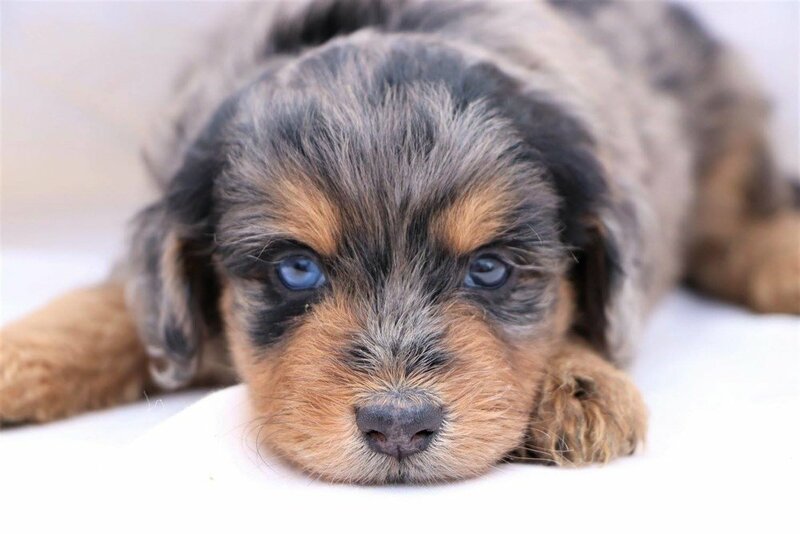 Merle Aussiedoodle Litters can have striking color varieties as demonstrated by the litter of six toy Aussiedoodles below. WANT TO FIND OUT MORE ABOUT AUSSIEDOODLES? 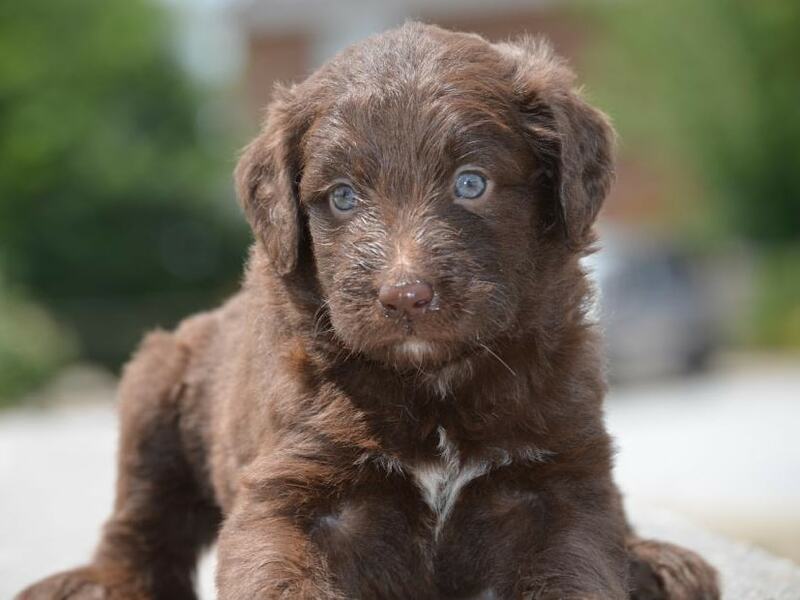 Apply today for a chance to be selected for a future Aussiedoodle or mini Aussiedoodle puppy from Crockett Doodles!